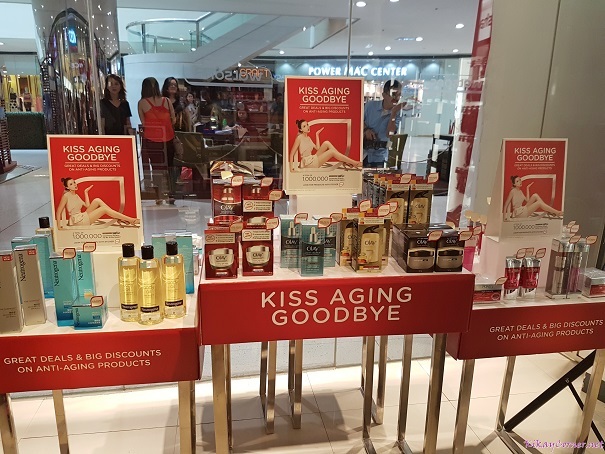 Aging is inevitable, true. But with all the latest in product innovations, I’m all for delaying it for as long as possible. 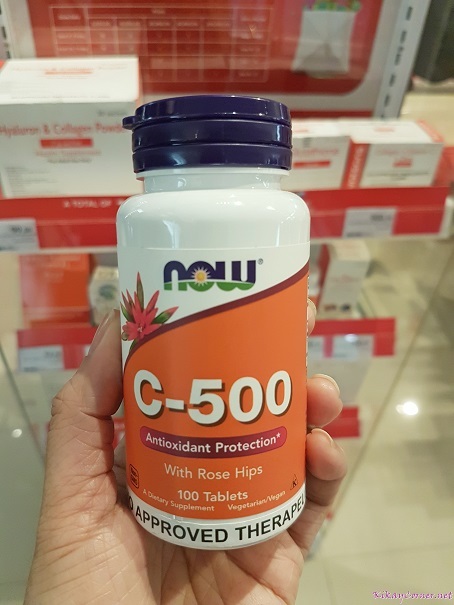 Because of free radicals that come with today’s lifestyle, the signs of aging are more pronounced than they were decades ago. 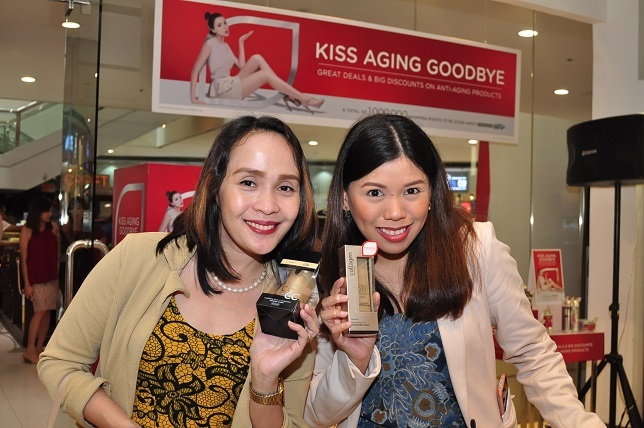 Truth be told, fine lines come as early as 20s. 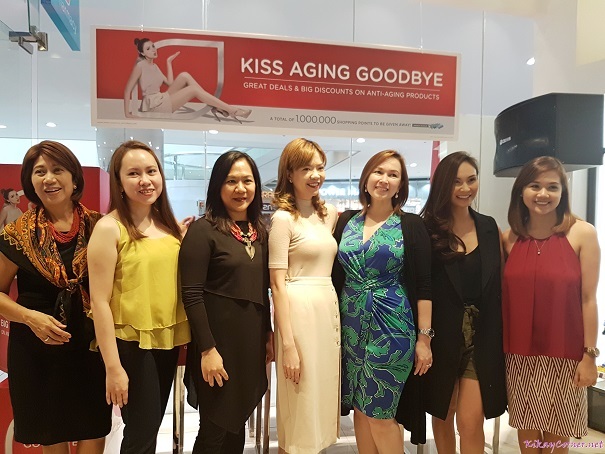 Because in our workaholic generation, we leaned towards abusing our bodies when we were younger, wrinkles, circles, dark spots surface way before we are ready for them. The ideal is to make it a habit to be stress-free, apply sunscreen, get enough sleep, moisturize, et.al. 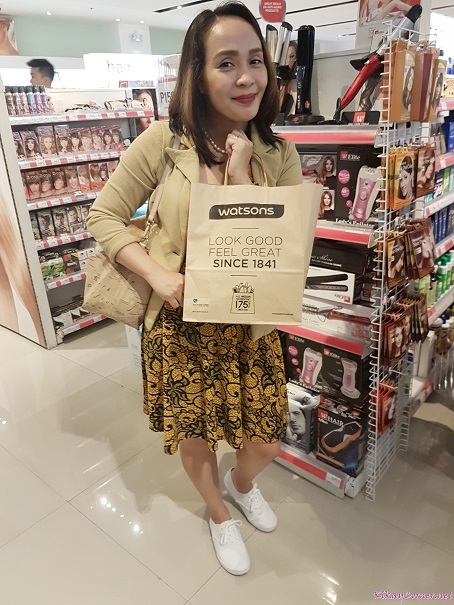 A photo with Donna of My Lucid Intervals as we didour Kiss Aging Goodbye shopping rounds and got our eyes on one of the brands Watsons carry, Collagen. 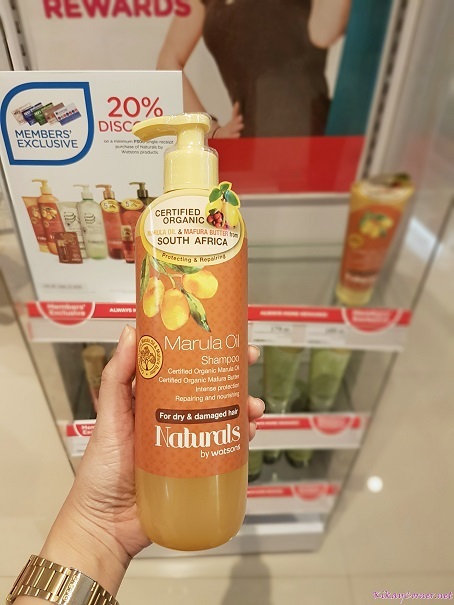 Another anti-aging product that caught my attention was this Marula Oil hair product. I’ve used the hand lotion of the same brand and I’m happy with it. I hope this one addresses my dry and damaged hair as it claims to. 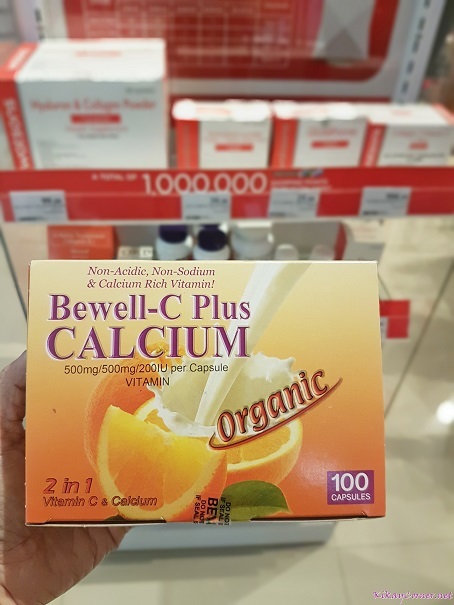 Bewell-C Plus Calcium is one of our supplement staples. 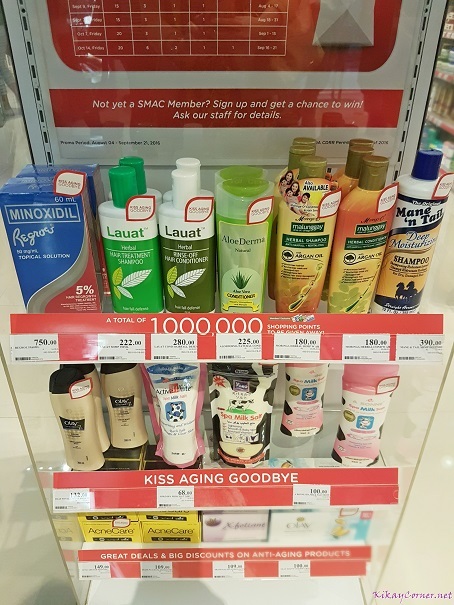 Aside from these supplements catching my attention, I also cannot help but be curious about innovative products on anti-aging like the L’Oreal Dermo Expertise Revitalift Range – a skin care solution inspired by laser, that promises younger looking skin in 4 weeks! 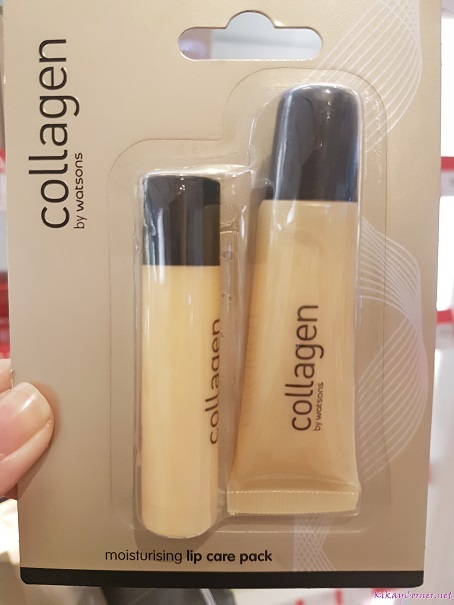 Or try to bring back my baby skin with Collagen by Watsons Intensive Nourishing Facial Mask, enriched with Collagen and Vitamin E to repair dryness and enhance skin’s elasticity. 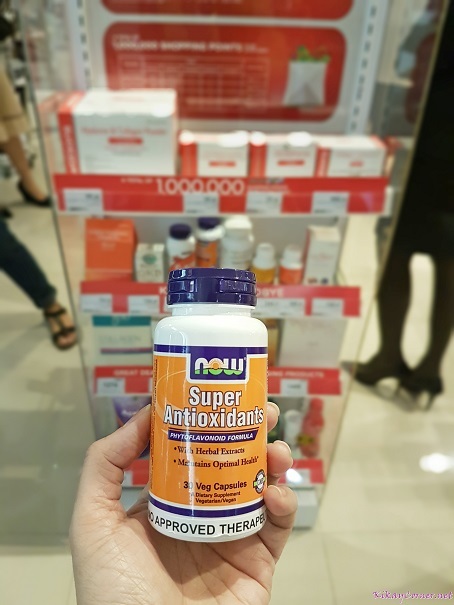 One of Watsons’ favorites is the iVi Collagen Ready-To-Drink, with 10,000 mg of Collagen that helps smoothen fine lines, and lighten dark spots for that forever-young glow. I’ve tried this for a week and has instantly addressed my dry eyes. I haven’t dealt with dry eyes since. 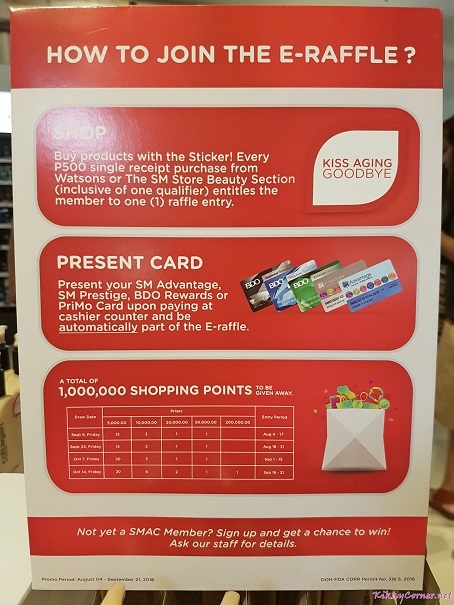 Kiss Aging Goodbye and get a chance to win a total of P1,000,000 shopping points with your SM Advantage Card until September 21, 2016. 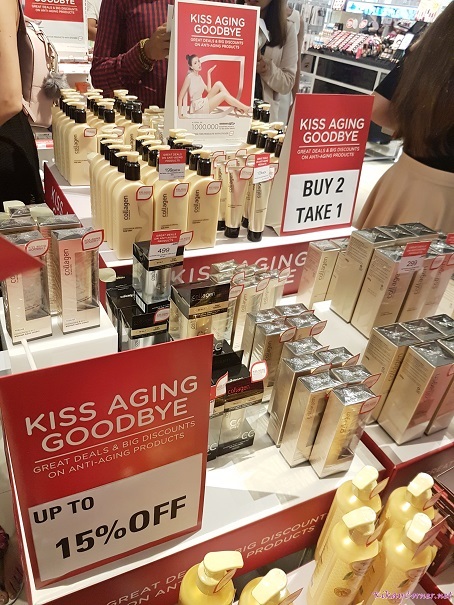 So many great deals on your favorite anti-aging and skin care products only at Watsons.